Amazon has just been shoveling out smart devices this year, launching a buttload of new Alexa-powered devices including an all-new Echo, the Echo Spot, and the premium Echo Plus. But one category where Amazon’s portfolio feels a bit thin is home security, where its $120 indoor-only Cloud Cam is the company’s sole offering. However, it appears that’s about to change now that Amazon has purchased security camera startup Blink for an unspecified sum. 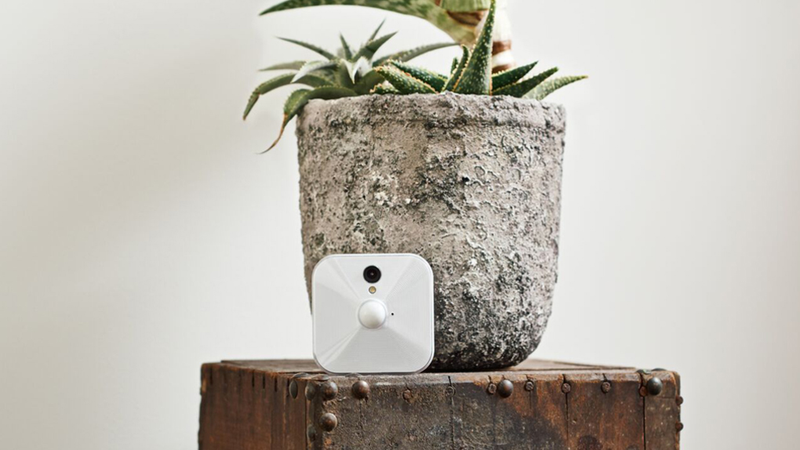 Blink is best known for its wireless security cameras which originally launched on Kickstarter before quickly receiving over $1 million in funding. Blink’s current range of products includes the $99 Blink and $129 Blink XT, in addition to the recently announced $99 Blink Video Doorbell. The main selling point of Blink’s devices is that, unlike a lot of other home security cameras, Blink’s cams are totally wireless, as they rely on wi-fi to send video between the camera and its hub, and feature battery life that the company says is good for up to two years. This makes Blink’s system, which will stick around following the acquisition, much easier to set up than competing products, as the hardest part about installation is picking out a place to put the device. The reason why this is such a big deal is because this year Amazon also launched Key, a service for Amazon Prime members which lets delivery personnel walk right into your house when dropping off packages. Currently, Key uses Amazon’s Cloud Cam and a compatible smart lock to ensure only the right people have access to your home, but Blink’s products offer a clear path to providing a simpler and easier way to turn people’s homes into Amazon Key-ready locations. On top of that, it gives Amazon the expertise needed to build out its first-party smart home ecosystem in order to compete with Google, whose subsidiary Nest released a whole host of new security devices in the fall. Recently, the battle between Amazon and Google has cooled slightly after Amazon started selling Chromecasts again on its site for the first time in two years. However, that war isn’t over, because now these companies have one more segment of the market to fight over.